If you do not have experience with tree pruning tools and equipment, it can be dangerous. This is why it is best to leave tree pruning to tree care specialists. We are licensed and insured for your safety. Our company also provides emergency 24-hour tree services. To bring functionality and beauty to your outdoor space with quality tree pruning, use Placentia Tree Service. Tree pruning enhances the overall health appearance and security of a tree. Through tree pruning, we remove branches that impede windows and gutters on your residential or commercial property. We get rid of injured or weak limbs that pose the possibility of storm damage, and we also removed branches that are unhealthy. In other words, our tree pruning service removes dying branches that block visibility, as well as block the natural growth habit of a tree. At Placentia Tree Service, we focus on all aspects of tree pruning, including tree designing. Furthermore, we’ll also take care and enhance your yard and garden with our other tree care services. 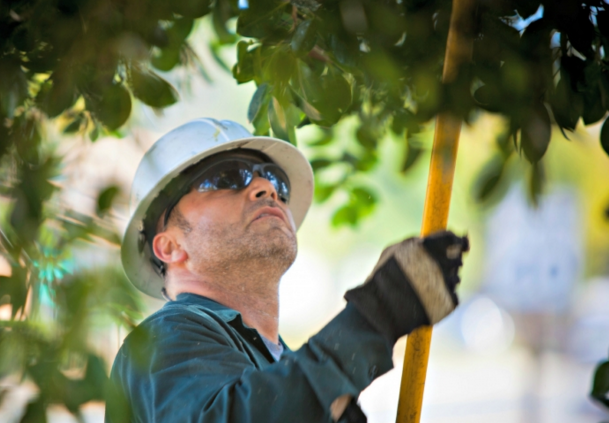 We are the top company for tree pruning in Placentia, CA, and we take pride in any tree pruning job we handle for you. Whether for a home, business, or block club organization, tree pruning is a vital element in your property preservation plan. Properly pruned trees bring value to your home or business, which rises every year. Pruning can enrich your trees in several ways, including raising lower limbs, thinning for sunlight filtration, and shaping of ornamental trees. It is crucial to know that animals, like raccoons and squirrels, can bring real damage to your roof and gutters. It is smart choice to arrange semi-annual tree pruning to keep your roof critter-free. Proper tree pruning will enrich the look of any landscape. On the other hand, incorrect tree pruning can ruin a landscape’s potential. At some point, tree pruning will be vital for all your trees. Tree pruning removes dead branches to upkeep the health of the tree. With over 37 years in the industry, we have the experience you can believe for efficient tree pruning service. Our expert crew provides service to hundreds of commercial and residential property owners. We offer superior-quality tree services, where total customer satisfaction is our main objective. Tree pruning performed right can encourage the grass beneath it to grow resilient and healthy. Through pruning, unhealthy wood is removed, the shape is enriched, and branches can be raised to clear height. Another reason for tree pruning is one of safety. This is the reason we come to a tree pruning job with a motive of health and aesthetic. Branches can fall on power lines and become an annoyance for your property, as well as the property of those around you. Besides power lines, branches can fall and injury your children, pet, or a person walking by. Each year, many children are injured from tree branches that break due to not be properly pruned. We have the abilities to perform tree pruning service that will take care of any unfavorable tree issues.